Half moons! It's when a bottom arc of your nail is a different color than the top. Not my most articulate moment, but you get the picture. I really like this look and wanted to jazz it up a bit. I was inspired by a mani that I saw once on GorjessNails. I started with 2 coats of OPI Sparrow Me the Drama. It's my go-to pink. ;) Then I put a coat of Seche Vite on it and let it dry. 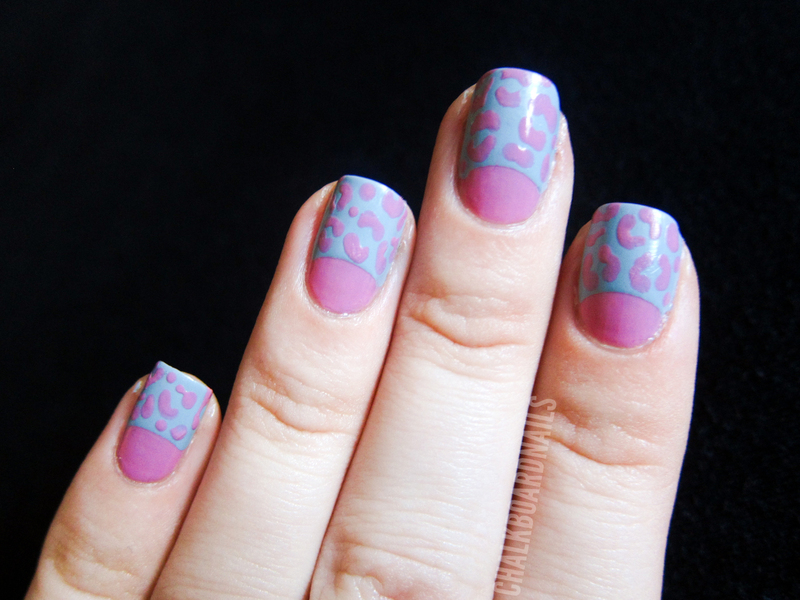 Then I used paper reinforcements like I would for a tape mani. 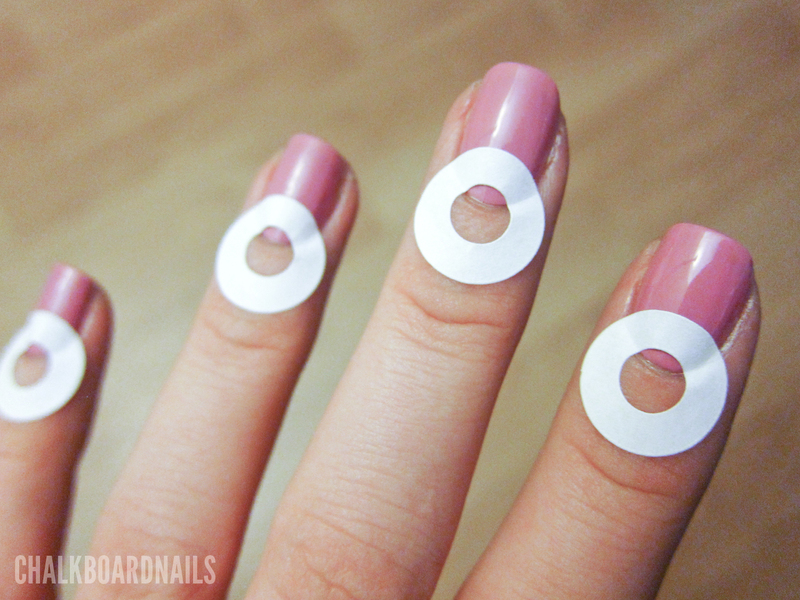 Stick em on, paint your second color from the top of the reinforcer to the tip of the nail, and then slowly peel it off! My second color was China Glaze Sea Spray. Then, I let that dry a bit and added some leopard spots in Sparrow Me the Drama again. I decided to not top with a second layer of topcoat because I liked the texture that the spots had. You, of course, could choose to topcoat or not. What do you think? Are you guys fans of the half moon look? Have you ever jazzed up a half moon before? What a smart idea! I wondered how to get that look. I'm still on the fence about the half moon look but want to give it a try eventually. I like the twist you did with the spots. I love how you captured the texture of the leopard spots! I really like the effect on your half moon mani! Where do you get those circles used for half moon? I love the paper hole reinforcements-never thought about using those!! How freakin cool! Sparrow me the drama is my all time favorite pink. I need to find a back up bottle!! I am not a fan of the half moon look but you did a great job with it!